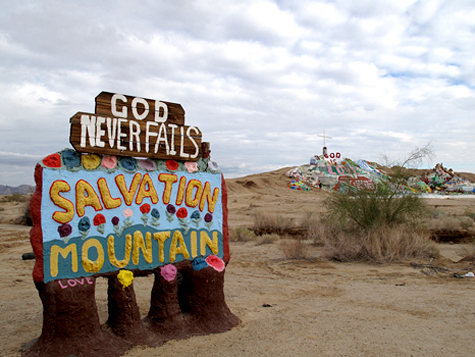 Sorry to hear about the passing of Leonard Knight, the artist behind Salvation Mountain. I was lucky enough to find myself there a few years back and met the man who carved out his slice of paradise in the middle of the California desert. LA Times has a little article about him here. Pics of my visit can be seen on my flickr account here. R.I.P.